Cherry Pie is another innovative offering from visionary winemaker Jayson Woodbridge, creator of Hundred Acre and Layer Cake Wines. One would think with the myriad winemaking projects that literally take him and his winemaking team around the globe each year, that Jayson would be content with his current stable of wines...but he yearned to make Pinot Noir for years and circumstances finally aligned for him to do just that. Jayson sought out the owners of Stanly Ranch, on the Napa side of the Los Carneros appellation, as their grapes were some of the most sought after Pinot Noir grapes in California. They told him they would give him a small allocation to make wine, but future allocations would depend on the quality of the wine he made. After tasting his 2007 Pinot Noir from the barrel, and deeming it one of the best ever made from their grapes, the owners of the ranch granted him free rein to choose from the very best blocks of the property for his wine. Then, in early 2008 while perusing New York's Soho District, Jayson happened upon the Campton Gallery during its exhibition of paintings by artist TR Colletta. 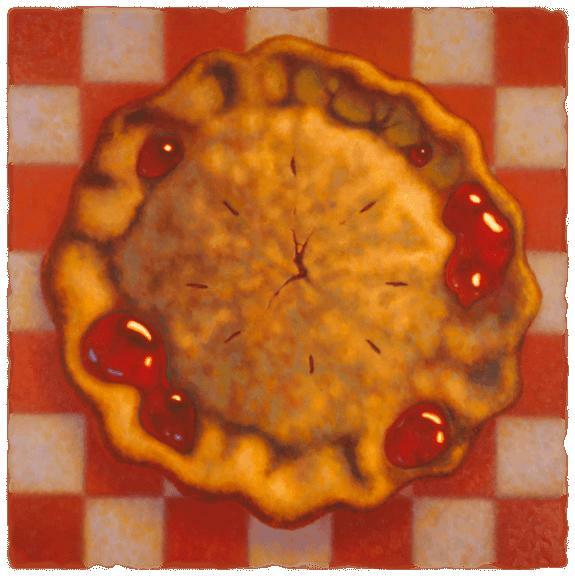 Jayson was particularly drawn to a compelling oil on canvas of a juicy, mouthwatering, hot-out-of-the-oven cherry pie. He instantly knew this was to be the label and the name for his Pinot Noir still in the barrel – Cherry Pie.